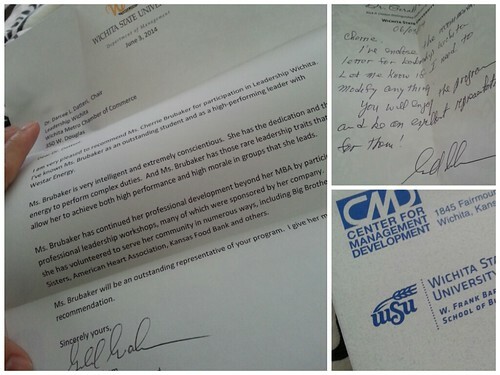 Posted on August 28, 2014 by Ching under Leadership. 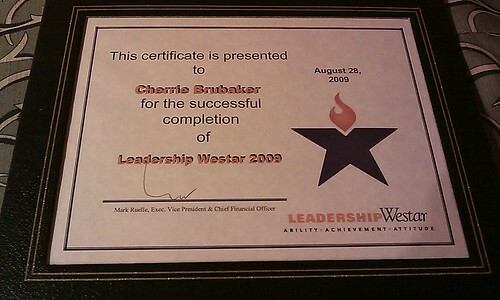 I graduated from Leadership Westar exactly five years ago today! 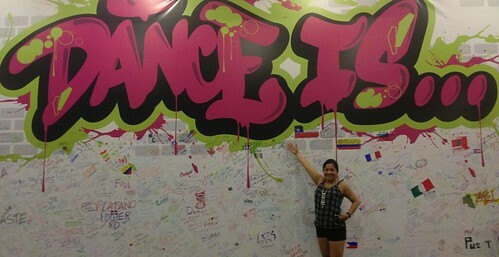 Posted on August 24, 2014 by Ching under Travel, Zumba. Brian fit right in. All he needed was a badge. 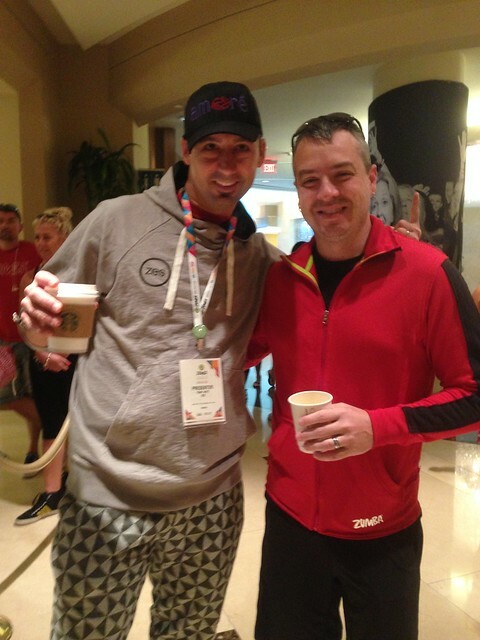 Brian with ZES Tony Witt, one of my Zumba idols. 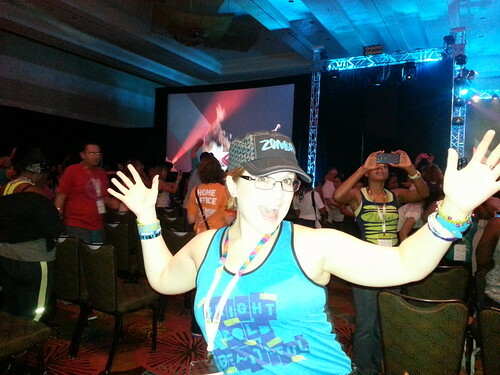 My friend Sarah at the kick-off of her very first ZINCON. There were a few awards given at the kick-off. Dr. Tal Ben-Shahar was our keynote speaker this year. He was great, but the highlight of the kick-off was definitely Claudia Leitte. What a treat! My first session was with Lindsey Taylor, another one of my idols. 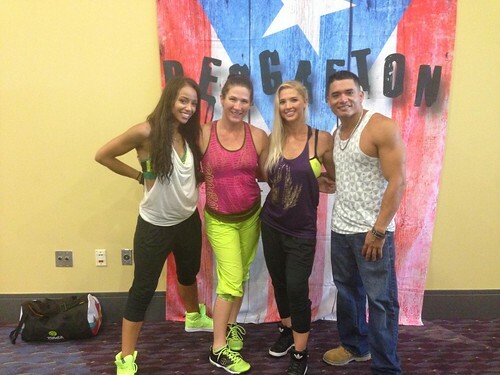 Then it was time for Reggaeton Rebellion with Loretta Bates and Marcie Benavides, two more of my Zumba idols. 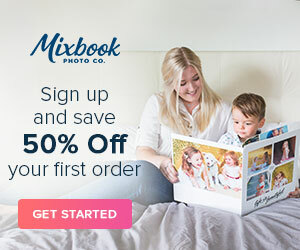 It wasn’t until halfway through the session that I realized Missy was in my same workshop! It was a great surprise! We got great pics with Loretta, Marcie, and DJ Francis. Lauren and Kelsi were on the same floor as me at the hotel. 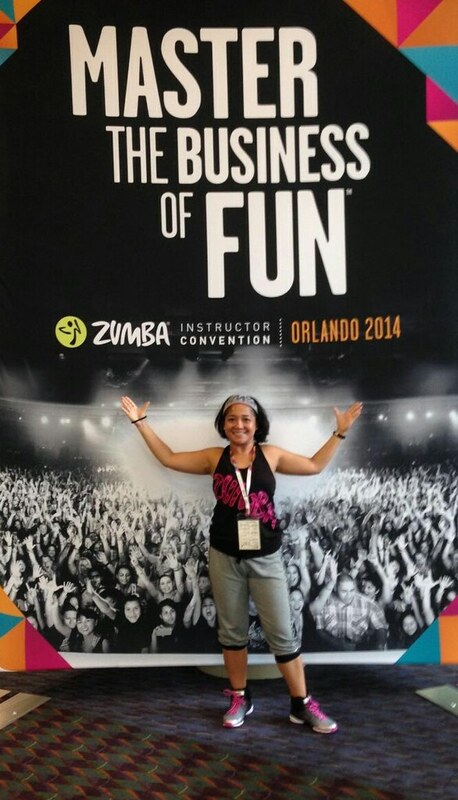 Mastering the business of fun! 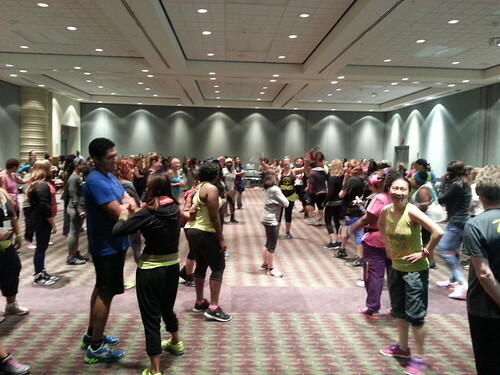 Zumba Step master class with Marcie. 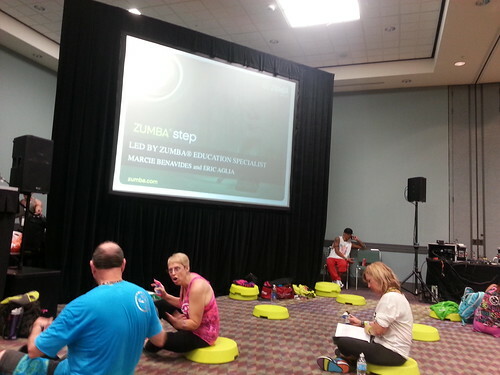 Here are some pictures from Zumba Gold training. 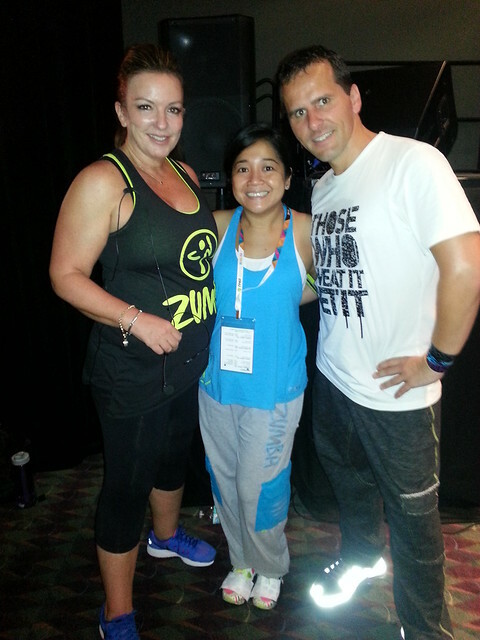 I learned Zumba Gold from the best, Ann Saldi and Lars Wensink. Brian did some shopping for me while I was learning stuff. 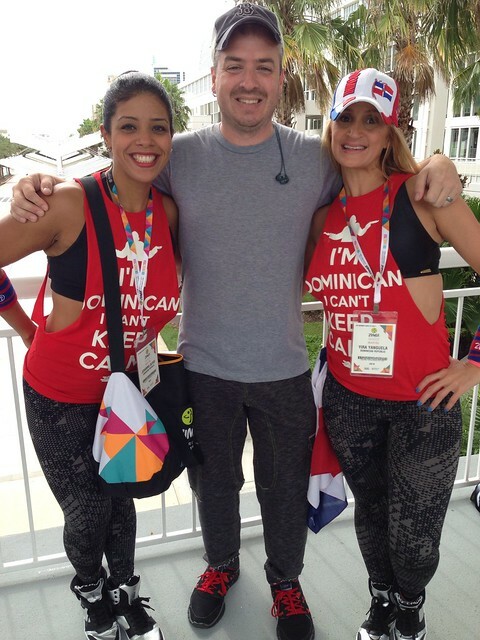 Brian also ran into Johanna and Yira from Santo Domingo. 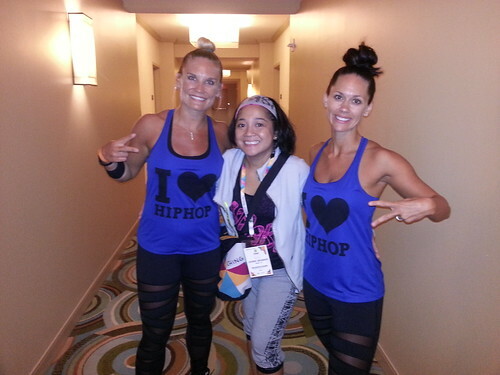 We met these two amazing Zumba instructors while we were at Barceló a couple of months ago. They’re like the Latin American versions of Lauren and Kelsi. 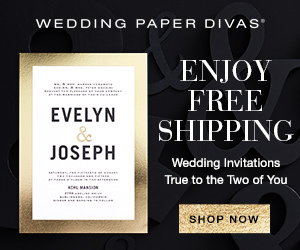 These partnerships make me wish I had a ZIN BFF of my own. 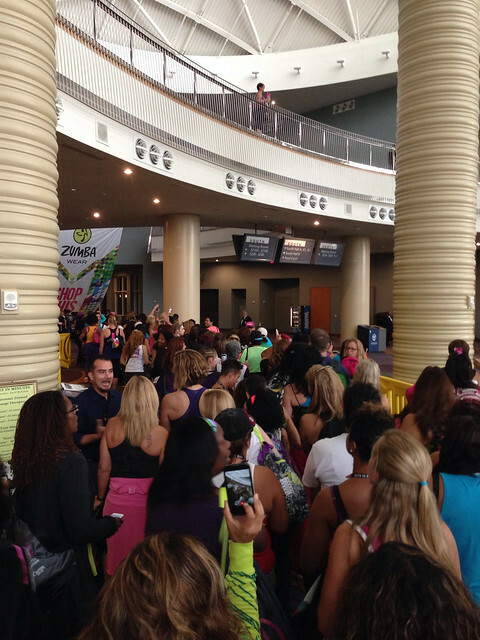 Here’s a picture of us waiting in line to enter the fitness-concert. 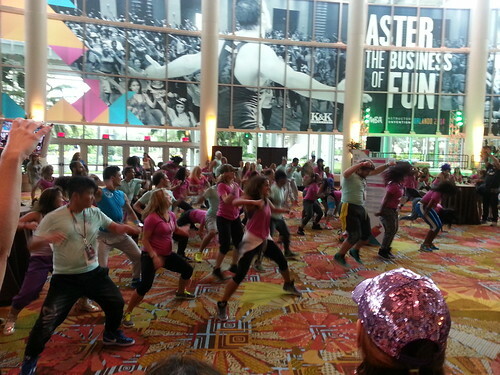 While we were in line for the fitness-concert, a group of Venezuelan Zumba instructors entertained us by singing and dancing. Brian got some videos. We were in the line for the fitness-concert for an hour or so but the entertainment made the wait go by faster. It seemed like there were a lot more people at this year’s fitness-concert. I thought the fitness-concert last year was cooler though. This year people weren’t following the rules. They brought bags and water bottles even though they weren’t supposed to and people wouldn’t spread out so we could barely move to dance. Here’s a video of the mass exodus after the fitness-concert. Pictures really don’t do it justice. 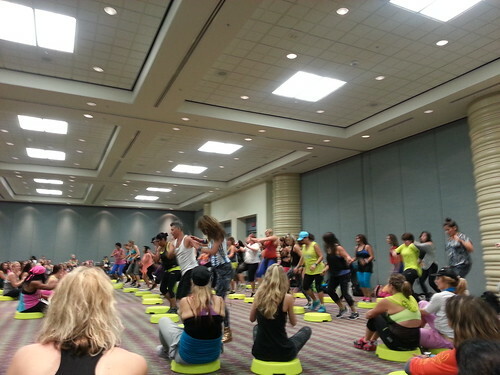 You just have to experience a ZINCON fitness-concert for yourself to truly appreciate the craziness. 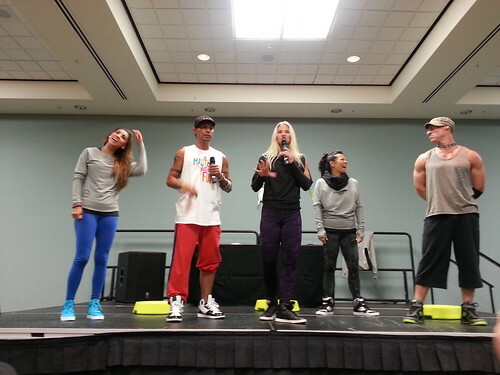 The next day I had Zumba Step training with the amazing Marcie Benavides and Eric Aglia. Several other ZESes helped also. Here’s a picture of Marcie with all the ZESes who helped during training. 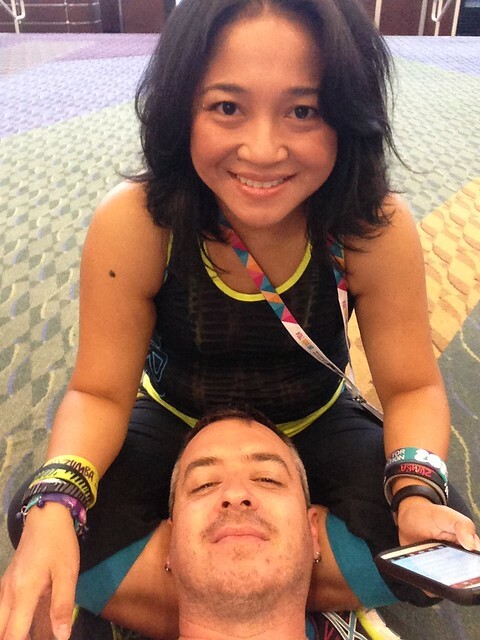 If you think Eric Aglia (guy in the red pants) looks familiar, it’s because he’s one of the instructors featured in the Zumba World Party video game. I am in such awe of Marcie. I can’t believe this woman is 40. She doesn’t look like it at all. My goal is to hopefully be as healthy and fit as she is when I’m 40. 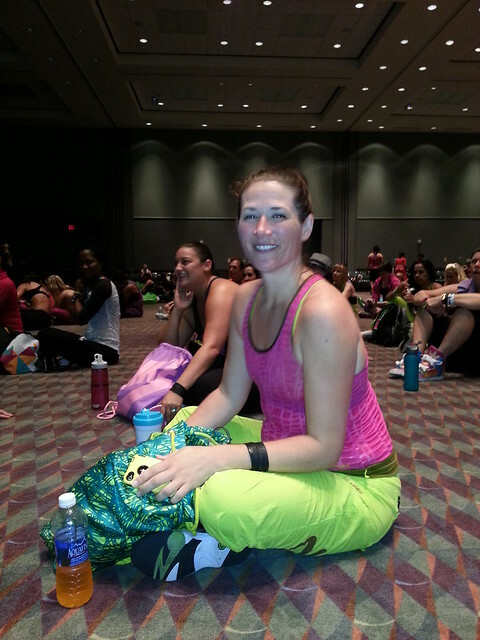 I snapped a few photos to memorialize my Zumba Step training. 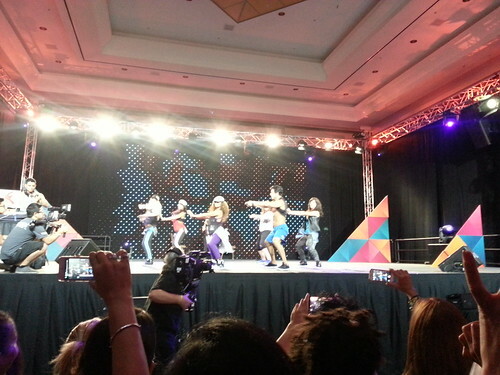 I feel so blessed to have learned Zumba Step from the best. Here’s a picture of me with the trainers taken at the end of our training workshop. I had to get another pictures with Eric when I ran into him in the elevator because this guy is amazing. I was front and center for training but apparently I wasn’t memorable because he didn’t remember me from class. LOL. 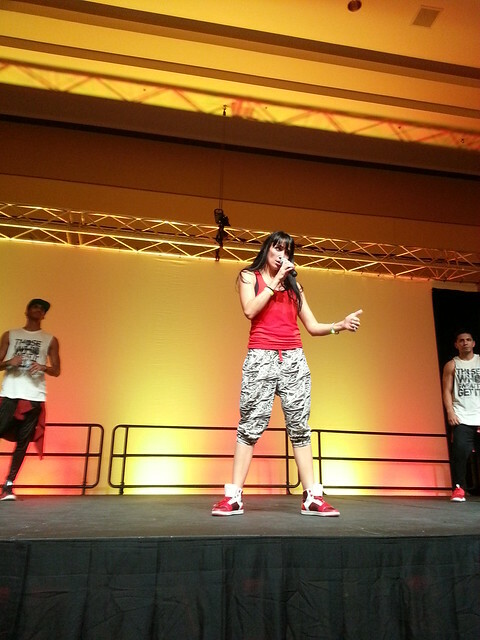 This is a photo of Francesca Maria performing at the theme party. 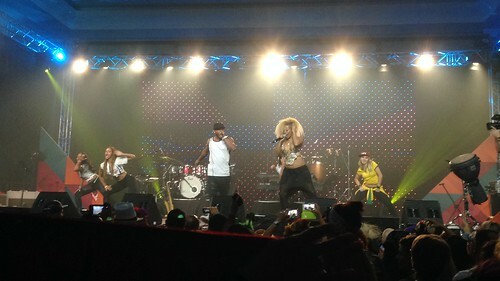 Dahrio Wonder and Gina Grant performed. Armando Salcedo and Heidy Torres performed. 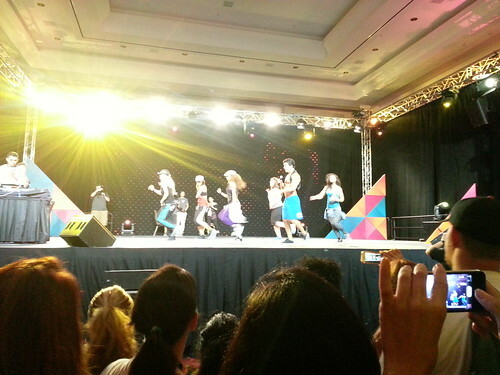 Other performances included Myrto, El Chevo, and Mara. 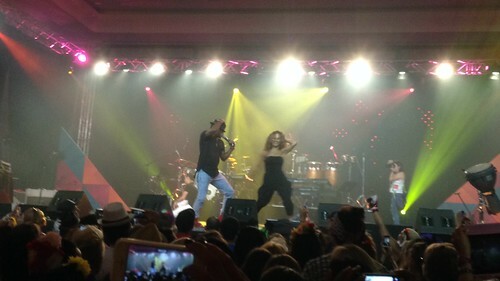 Claudia Leitte performed during the kick-off event. 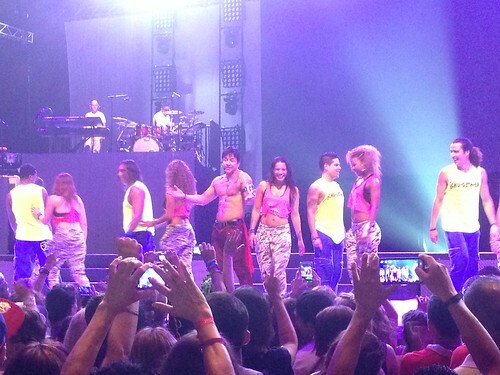 Wisin performed during the fitness-concert. For the theme party there were several performances. 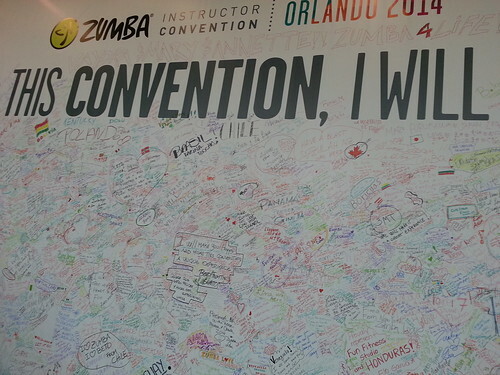 There are rising Zumba performers everywhere so each time someone came out they would say which country was represented. 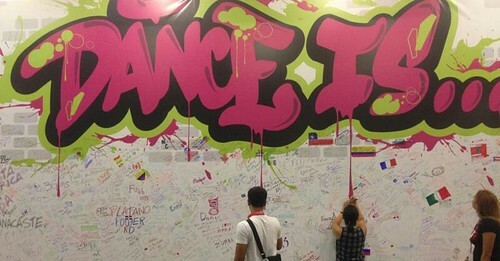 It’s so amazing how Zumba brings the world together. 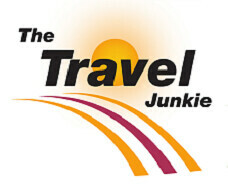 There were 97 countries represented this year. 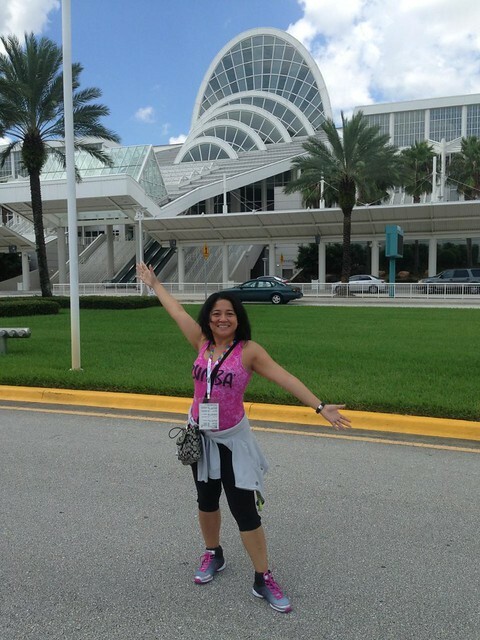 ZIN members from all over the world traveled to Orlando to participate in this year’s ZINCON. Amazing feels like an understatement. I always say that there are no words to describe ZINCON. It just has to be experienced first hand. This year’s theme party was not as elaborate as last year but the performances were great. People had some crazy costumes last year. It also felt like several people opted to skip the theme party this year. Last year that whole area right outside the ballroom was packed. We were shoulder to shoulder, and there were even more people inside the ballroom. 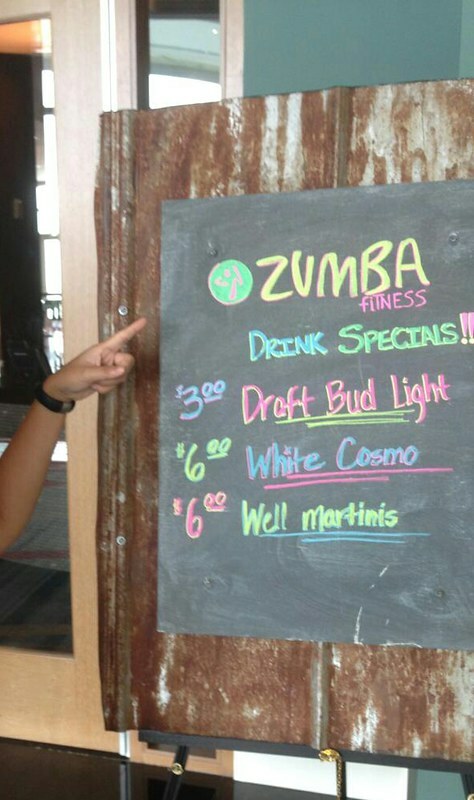 I’m thinking that the $9 Bud Light bottles might have something to do with it. 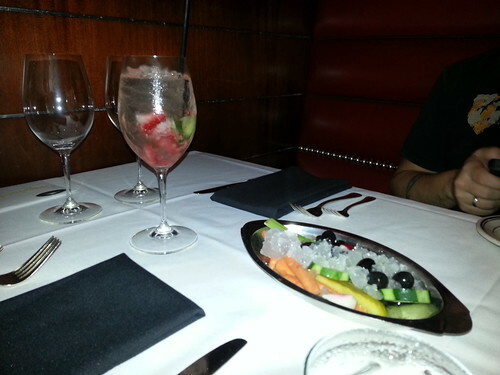 Yes, the drinks were crazy expensive. 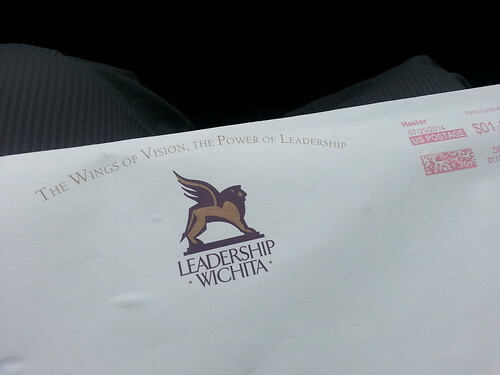 I think they were even more expensive this year than last year. Brian and I were smart this year, though. 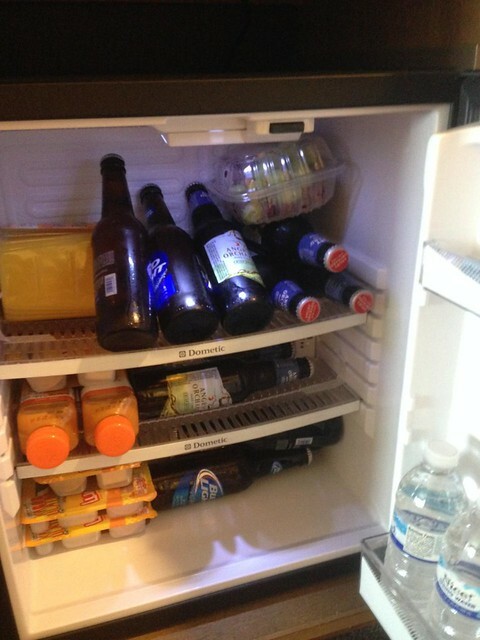 The Walgreens next to the Rosen Centre sells beer and wine so we stocked our fridge and pantry. Since we were drinking every night we were there, we didn’t feel compelled to spend hundreds of dollars on drinks at the party. 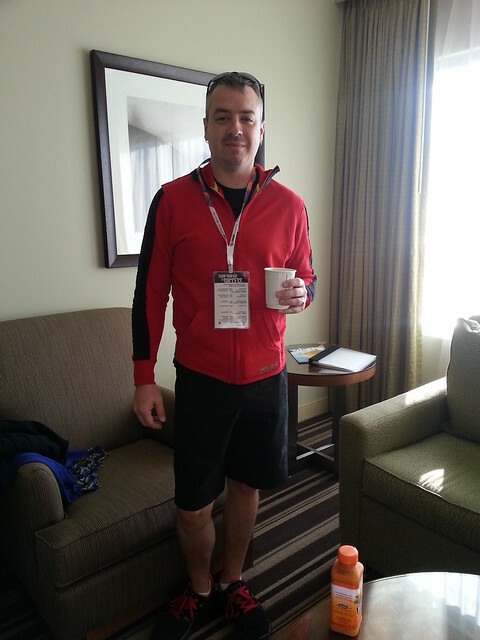 Plus, I didn’t really care to drink the Bud Lights because I had Angry Orchards back at our hotel room. We didn’t stay at the theme party too late. 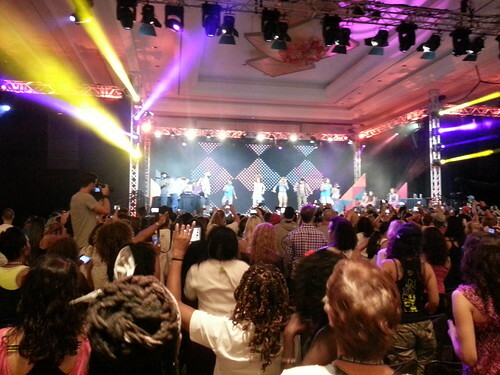 We just stayed for all of the performers we’d never seen perform live before. After all of that, the official ZINCON house band took over and we’d watched them perform last year. They just do mostly covers anyway. They sang this year’s hits but it’s still the same guys. We didn’t really feel like we were missing much by taking off before midnight. Besides, I had a big day the next day. I had a session with Filipino ZES Prince Paltu-Ob. He came highly recommended by my friend and fellow ZIN Gerard Patalano who I met at last year’s ZINCON. I’d heard great things about Prince from others also so I was super excited. I was actually the first one in class. I got there even before he did. 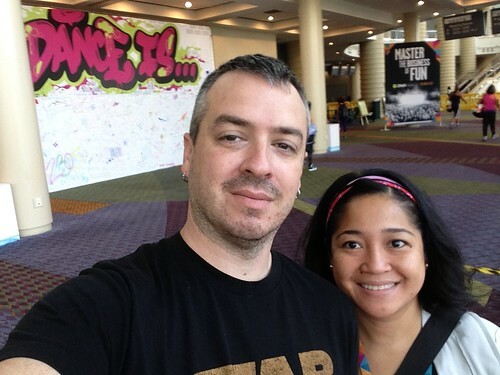 We snapped this photo before our session started. I met other Filipino ZINs in our workshop. We snapped this photo after class. The session with Prince was my last one before the closing session. 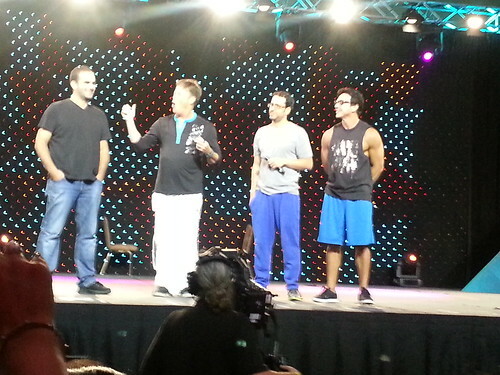 This was a big deal because this was the first time ever that they’d had a closing session on the schedule. Usually everything just kind of ends after your last session. Anyway, we finally got to see the third Alberto, Alberto Aghion. 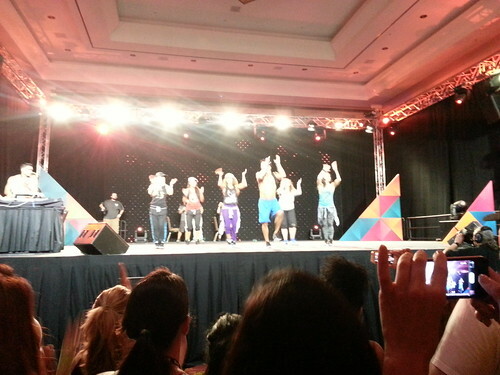 Everybody knows Alberto Perez aka Beto because he is the face of Zumba. 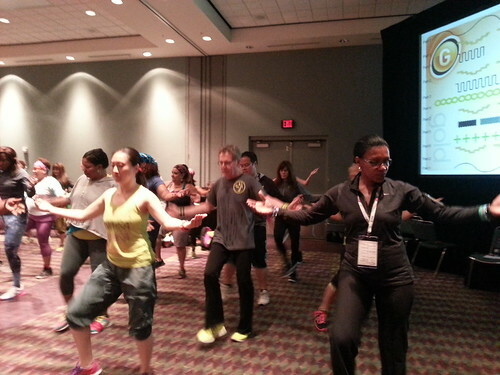 If you’ve ever been to ZINCON, then you’ve also seen Zumba CEO Alberto Perlman. He always speaks at the kick-off event. There’s rarely ever an Alberto Aghion sighting. I guess you could say he is the “silent” partner. LOL. I always thought the guy was imaginary until now. 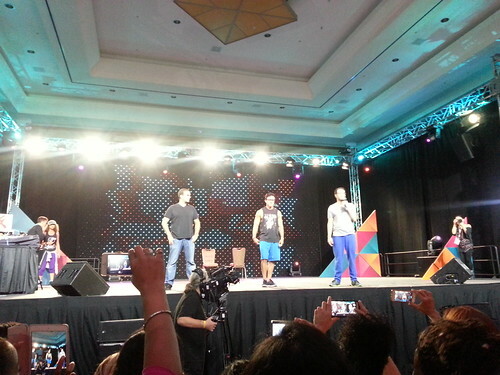 This is the holy trinity of Zumba, the three Albertos, all in one place right here. It’s amazing the universe didn’t implode. You never see these three guys together. Or as Beto would say, chugether. Here’s something else you don’t see very often: Beto, Gina Grant, Kass Martin, Loretta Bates, Marcie Benavides, and Ann Saldi all dancing on the same stage. Here’s a short clip. Pardon the audio quality. After the closing session we headed to the pool to hang out. Holy cow! It was so packed. I think word got out that this was the place to be at the end of ZINCON. It was the complete reverse of the theme party. There were actually a ton more people hanging out at the pool this year than last year. There were no lounge chairs available. At all. We were lucky that Pat and Missy decided to skip the closing session. They were already hanging out at the pool. They were leaving for the airport at three o’clock so we just ended up taking over their two lounge chairs. If it wasn’t for that, we would never have gotten lounge chairs. People actually ended up putting towels on the pavement and just setting their stuff down because there were no lounge chairs available. It wasn’t like this last year. I don’t really like the way I look these days because I’m way up in weight compared to a couple of years ago but I have to post this picture. I can’t believe I finally met Azuka Boutcher in real life. She’s another one of those mythical creatures. 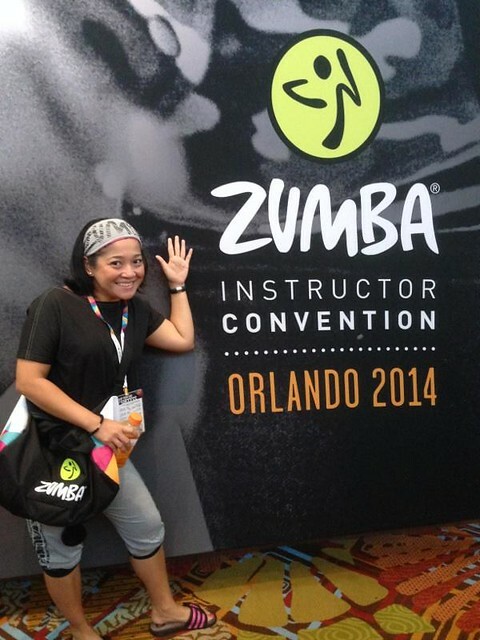 She was one of the original faces of Zumba along with Gina Grant and Tanya Beardsley. It was the Gina, Tanya, and Azuka before it was just Gina and Tanya. And now there is only one. Just Gina. I had met Gina and Tanya for the first time during the Gina and Tanya Rock the Stage Tour a couple of years ago. Azuka was already doing her own thing, Kazaxe, a this point. Azuka is not really one you will see unless you go to take one of her classes in Virginia. 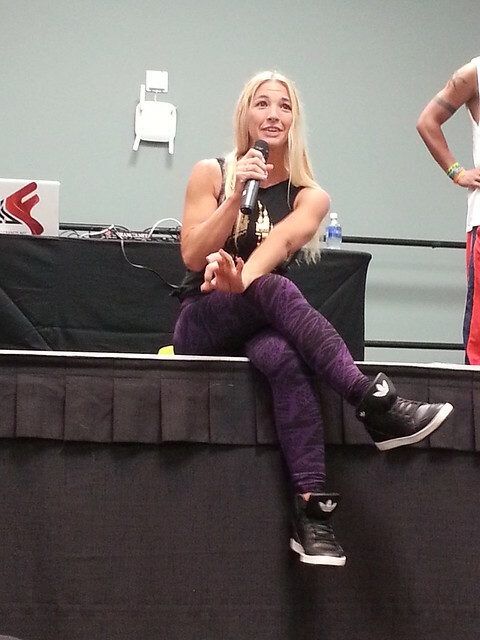 I mean, I don’t really see her traveling to Kansas so it was awesome to see her at ZINCON. I felt like such a stalker walking over to ask for a photo with her but it was totally worth it in the end. I would have regretted not getting this photo. We had dinner at B-Line on our last night at the hotel. We didn’t really feel like venturing out because we still had to pack and at this point, I wasn’t even sure that we’d have enough room in our luggage for all the stuff that Brian bought for us. On our way back to our room, we ran into Ricardo Marmitte and his friends. All I have to say is, he is the coolest guy ever. Ricardo and his friends were so friendly and welcoming. If we didn’t have to pack and didn’t have an early flight the next day, I would have totally just tagged along with this group. 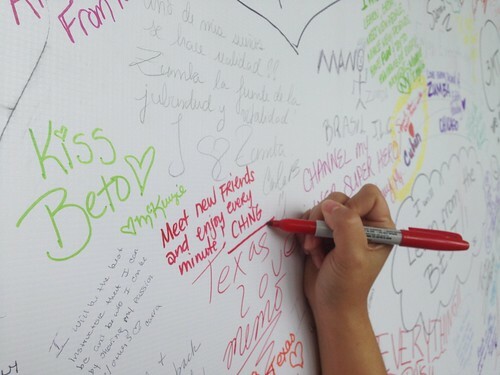 I still kind of regret not taking advantage of the opportunity to visit and learn about everyone. 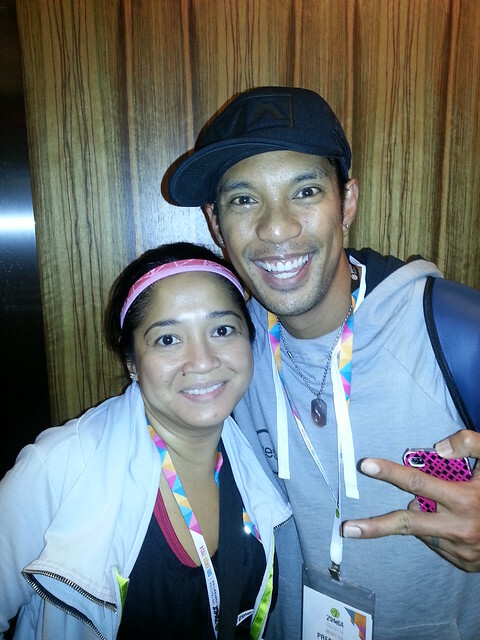 I mean, how often do you get a chance to hang out with Zumba celebrities. Maybe next year. And then, just like that, it was over. 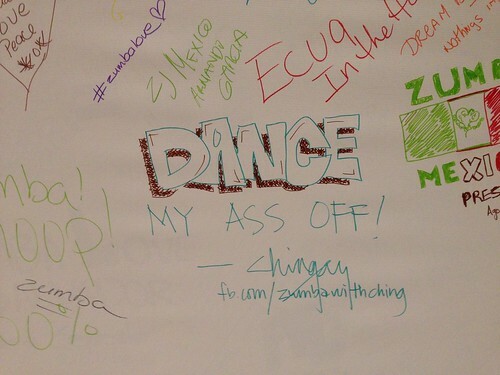 I have more pictures from ZINCON 2014 on my Flickr so be sure and check those out. I met some new people this year. Saw friends I had met previously like Charisse and Gerard. I also captured some videos. I could only send a few of them to Flickr. The rest won’t upload for some reason. I’ll probably post some of my favorites videos here — of those that I could upload anyway. Stay tuned. Posted on August 19, 2014 by Ching under Food and Drink. We ate out a lot in the days leading up to our anniversary. We hit our favorite places in Wichita where we hadn’t been in a long time so we ate at the Anchor and also at Redrock but we didn’t really “celebrate” our anniversary until Orlando because I wanted Brian to try the Oceanaire Seafood Room. 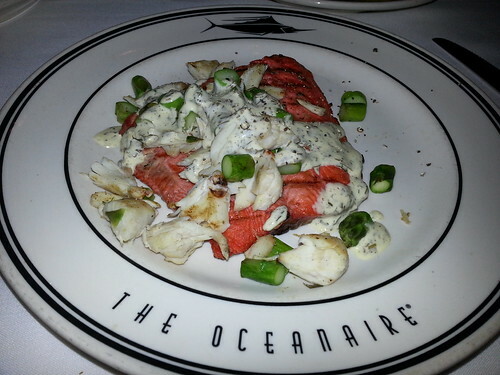 I ate at Oceanaire for the first time when I was in San Diego on a work trip and loved it. 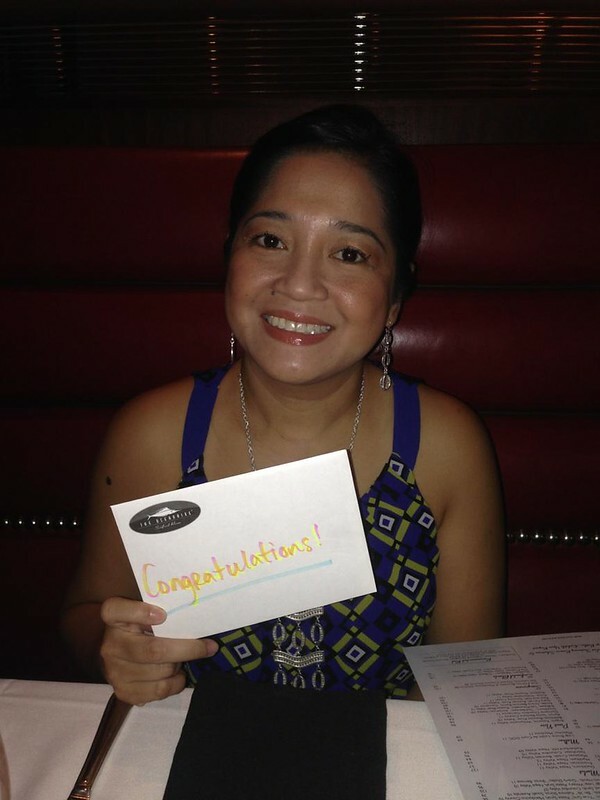 I remembered that they had a location down the street from the convention center in Orlando so I asked Brian if we could wait to celebrate our anniversary when we arrived in Orlando that way we could have our anniversary dinner at Oceanaire. 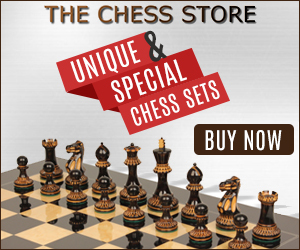 The place is so expensive, special to a frugal person like me. It’s not really a place that you could just go to eat just for kicks. 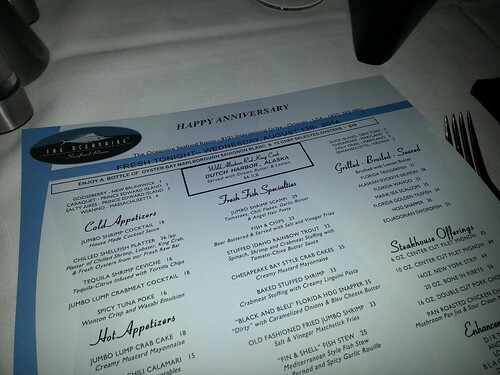 I really like the “Happy Anniversary” message on the menu. It’s a nice touch. Although, I liked the menu from San Diego better because it actually had my name printed on it. 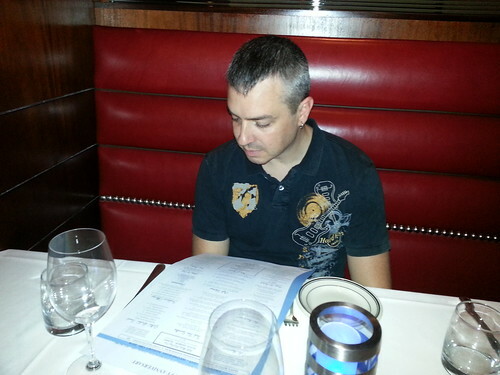 I’m glad I warned Brian about the prices on the menu ahead of time. He would have had a fit. He is just as cheap as I am. LOL. 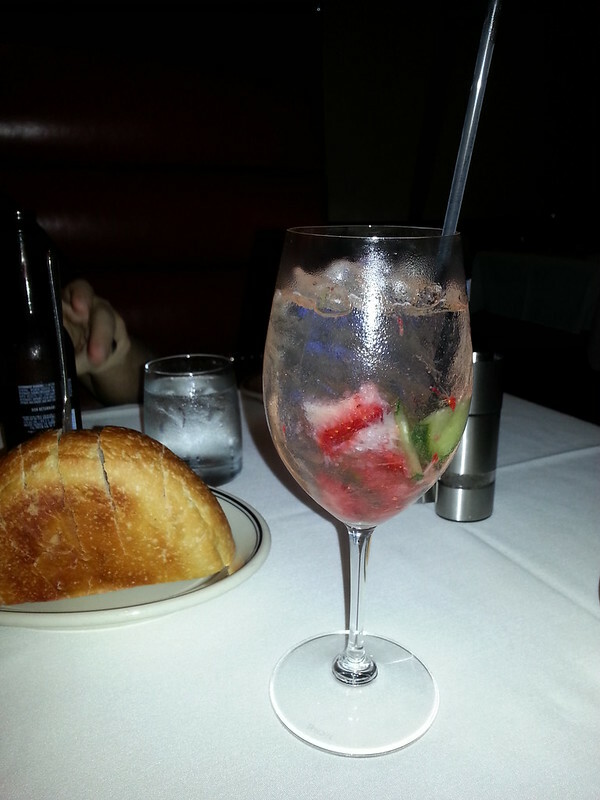 This is my super delicious sangria. I also like the fresh veggies. The chef also gives a small treat to first timers. Brian didn’t even want to try it. He saw the raw fish and that was enough for him. It actually wasn’t bad. 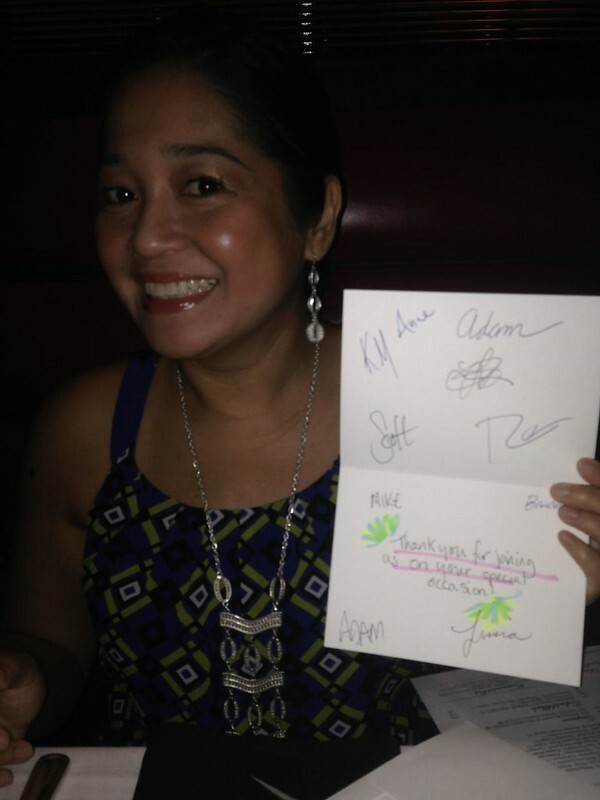 The “congratulations” card they gave us signed by the staff was also a nice touch. It makes me want to celebrate every birthday and anniversary there. 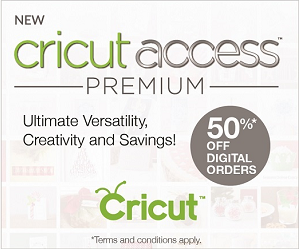 I’m cheap, but once or twice a year won’t be too bad. It’s a shame there’s not one in town. They have the most delicious crab cakes ever. This one was just as good, if not better, than the ones I had in San Diego. I like that there’s hardly any filler and the crab meat has just the right hint of sweetness. 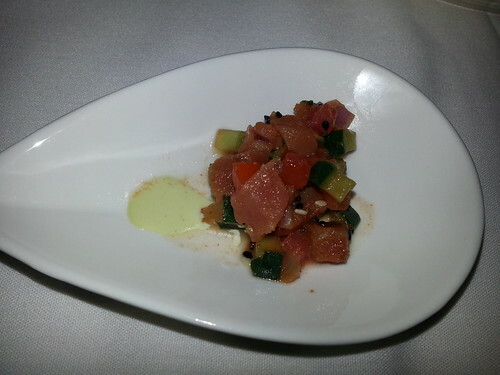 This ugly entree was the most expensive thing we ordered. 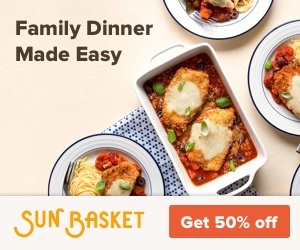 $42 for this dish. It was just okay. I’d had better salmon before, for half the price. Actually I was thinking the dish would be around $32 but since I substituted the crab Oscar instead of the shrimp Oscar there was an up charge. 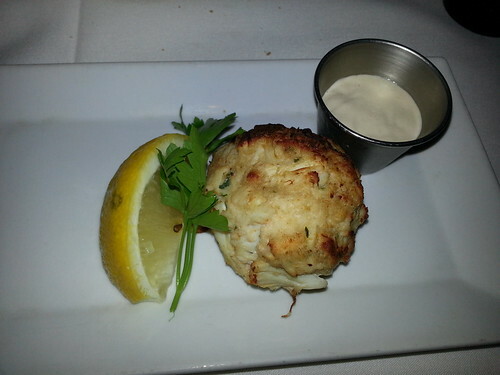 All I’m saying is that the crab cakes are worth every penny. I expected more out of this dish. Maybe I don’t know what good salmon tastes like? LOL. Maybe it’s because of the messy presentation? I don’t know. All I know is that I didn’t enjoy this dish as much as I thought I would have. I didn’t complain or ask to exchange it though. I just ate until I was full, which is what I should do anyway rather than cleaning my plate every time. 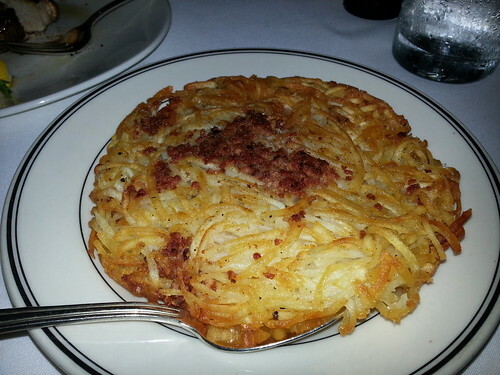 This is the hash browns Oceanaire-style. We ordered it because our server said it was their most popular side dish. This was just okay also. Other than how huge the serving is, there wasn’t really anything spectacular about it. 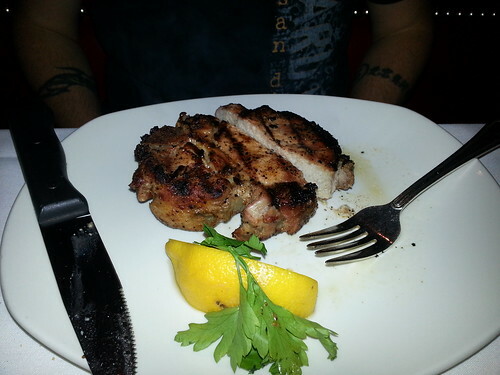 Brian’s pork chop was just okay too. It was cooked well, but I thought it needed more flavor. That’s probably just me, though. 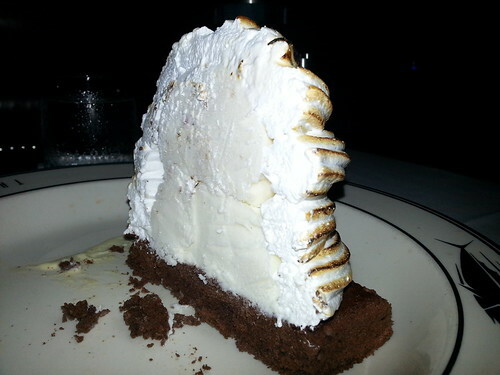 The baked Alaska was good but it was rock hard. It had just come out of the deep freeze so it was solid. She could barely cut it in half even after heating the knife. It was that hard. Here’s a photo of it from the side. 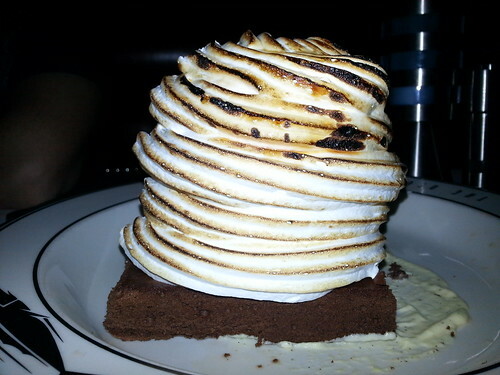 Here’s a video of the baked Alaska. The flames don’t always show up in photos so our server recommended taking a video instead. Even though the Orlando location didn’t live up to the high expectations set by the San Diego location, our anniversary dinner was wonderful overall. Our server was delightful. Although, I think they are purposely nice to you though so you don’t feel so bad about the bill when it comes. LOL. 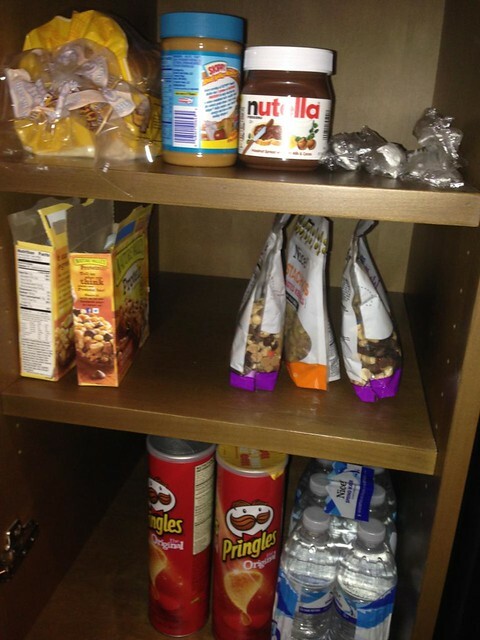 I joked to Brian that we blew our entire food budget on one night. We were celebrating our 12th wedding anniversary though, so we had to pick a special place — one that’s worthy of the milestone.